Fully customize your text: This Door mat can be personalised with a name, a unique message or a memorable date of your choice, to make it the perfect gift for you or someone special, for any occasion. Long Lasting: The design is engraved onto the door mat. This means it will last hundreds of washes and will never peel, crack or fade. Please note that as the design is engraved on to the product it occasionally leaves a slight burnt look. First impressions count! Well that's what they say! Are you looking for a gift for a new home or a newly married couple, or maybe just to keep one step ahead of the Jones! Then look no further, Then this is the door mat for you! 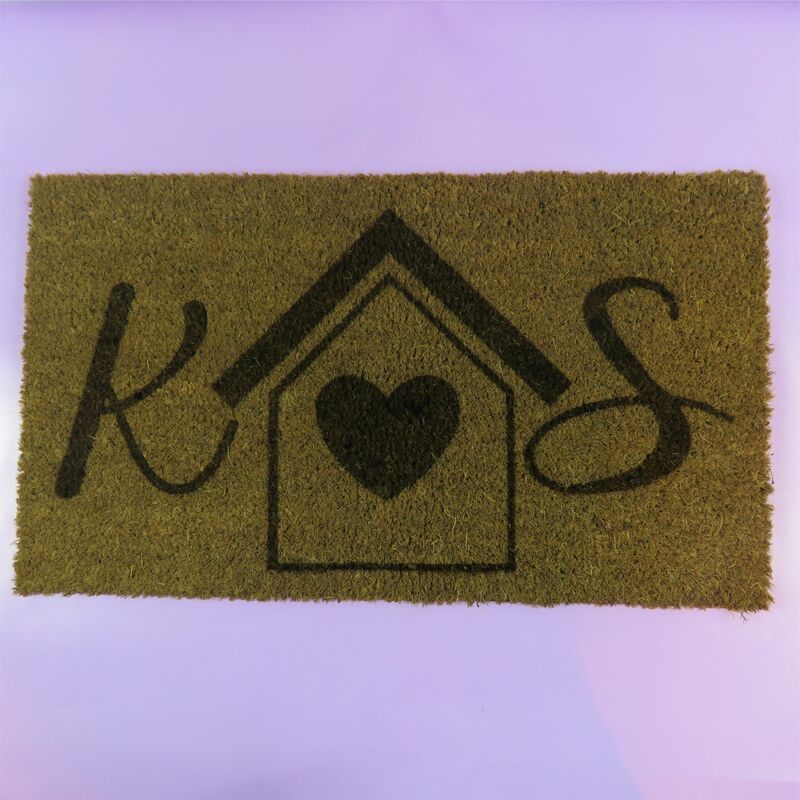 All our Door mats are designed and made with love and care.